It never seems to feel like Christmas until it smells like Christmas. If you’ve decked the halls with an artificial tree and store-bought gingerbread cookies, then you’ll need to grab some Christmas-scented products to get that holiday smell. But what products should you use? Should you buy a traditional Christmas candle? Maybe you’re feeling nostalgic for a cinnamon broom or some potpourri. There are all sorts of Christmas fragrances for your home, and some of them are overpriced or ineffective. That’s why we’ve found the best variety of affordable Christmas fragrances for anybody’s needs. You can use most of these fragrant products all year round, of course, but they’re particularly well suited for the winter holidays. And if you’re really feeling the holiday cheer, you could get some Christmas shopping out of the way for that friend with a, shall we say, less than fresh smelling home. It’s tempting to reach for a can of Febreze or a candle, but just hear me out for a second. Potpourri is severely underrated. You may remember it as the dusty crap from grandma’s house, but it’s honestly a great, low-effort way to bring the Christmas smell to your home. You just throw it in a bowl and, viola, it feels like Christmas. 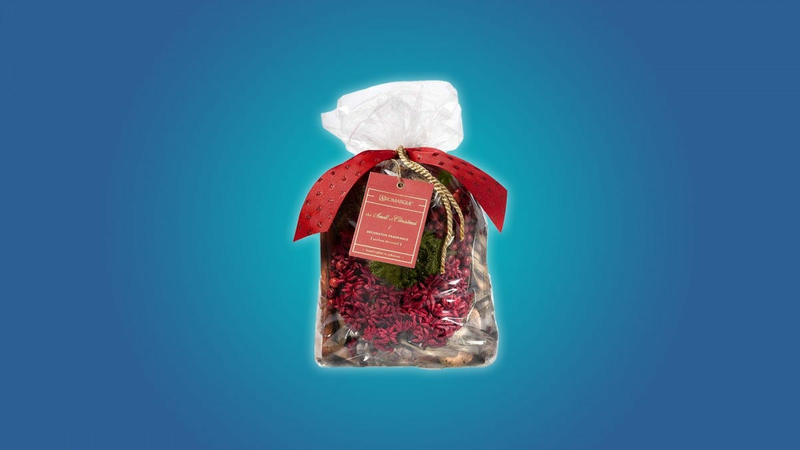 Aromatique’s Christmas potpourri smells especially good, and it’s affordable. Since it’s made of berries, nuts, pinecones, and cinnamon sticks, it also makes a great decoration that you can use every year. Keep in mind that potpourri won’t spread the smell of holiday cheer throughout your entire home, you’ll need to use a diffuser or a bunch of candles for that. Potpourri also takes up some counter space and looks a little old-fashioned, which might not be the look you’re going for. If you want a decorative, naturally Christmas-scented product that isn’t potpourri, then you should consider grabbing a cinnamon broom. The American Oak cinnamon broom is three feet tall, nostalgic, and full of holiday cheer. It’s easy to shove into a corner, but it also looks great when you incorporate it into your Christmas decorations. Oh, and did I mention that it smells like Christmas? 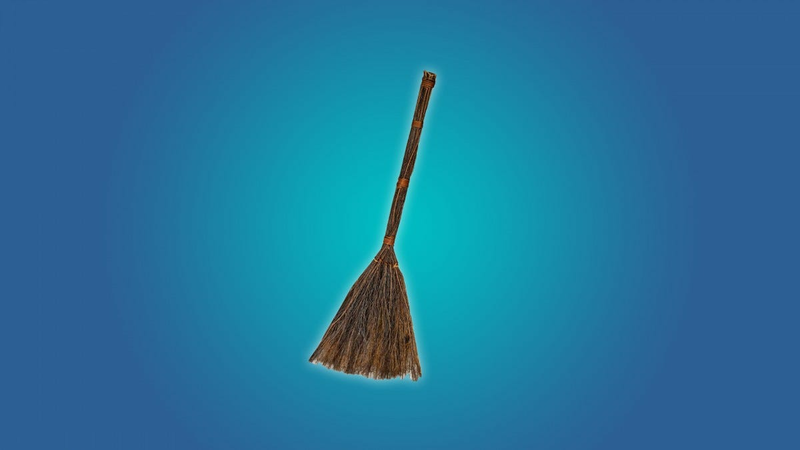 Like the potpourri, the cinnamon broom is kind of old-fashioned. It won’t get the smell of Christmas all over your house, but it can transform a kitchen or living room. They also don’t last for very long, and you can’t reuse them the way that you can reuse potpourri. If you’re trying to spread the smell of Christmas throughout your entire home, then you should consider buying a reed diffuser. 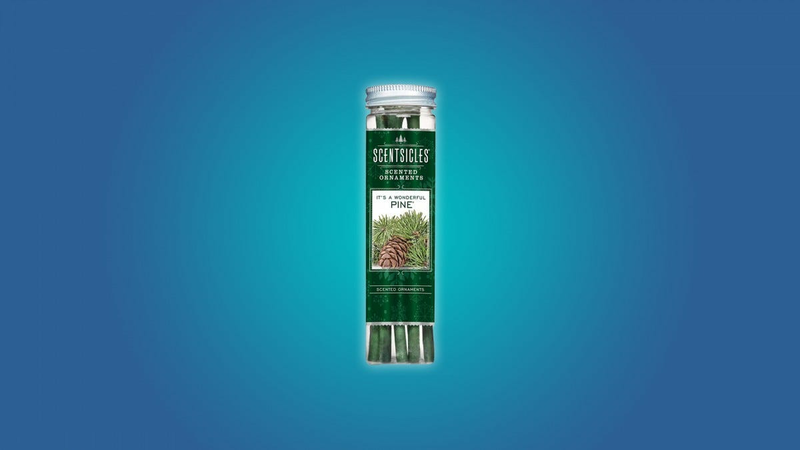 The cranberry and pine scented reed diffuser by Urban Naturals is a no-effort, long-lasting fragrance solution. Imagine coming home to the mature, natural smells of cranberry and pine without lifting a finger. If you need to save some of the diffuser oil for later, you just take out the reeds and put the cork back on the bottle. 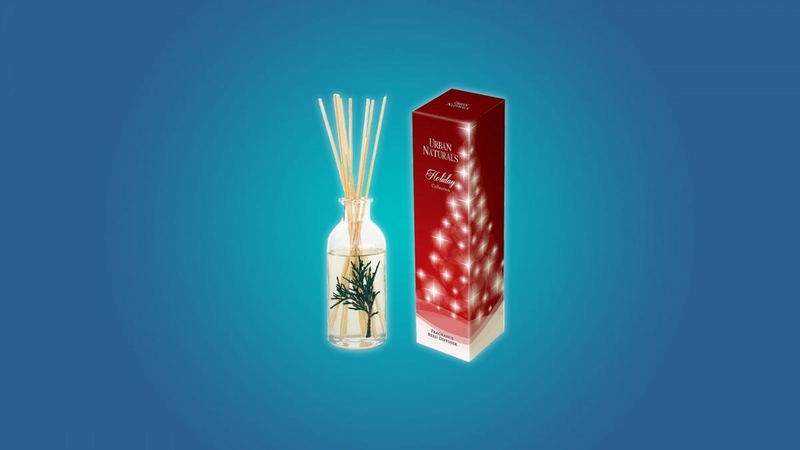 Reed diffusers are a great way to scent-ify your home, especially around Christmas time. Their convenience is unmatched, and you don’t have to worry about sprays, smoke, or any of that stuff. But the always-on convenience of reed diffusers means that you’ll probably get used to the smell of Christmas (but you’re guests will certainly notice it). Heads up, reed diffuser oil will break electric aromatherapy diffusers, so don’t try mixing your scented oils. 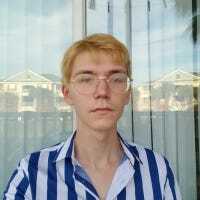 Learn from my mistakes, friend. 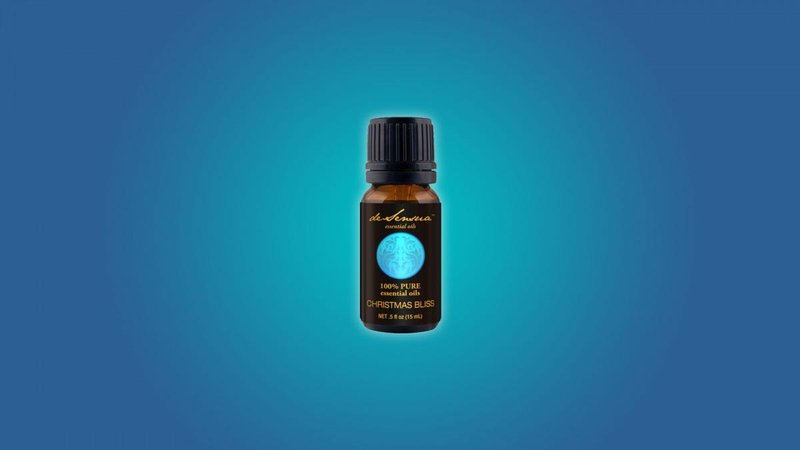 Essential oils have become extremely popular in the last couple of years, and for good reason. They’re relaxing, all-natural, and relatively inexpensive. If you don’t already own an aromatherapy diffuser, then you should seriously consider buying one. They’re cheap, effective, and can pump all kinds of different smells into your home year-round. If you don’t want to buy an electronic diffuser, you could always boil a few drops of essential oil on the stove or spray it around the house from a bottle. Maybe you’re a bit disappointed in your artificial tree. It looks like a tree, it plugs into a wall like a tree, it has fake snow like a tree, but it doesn’t smell like a tree. You can add that authentic Christmas tree smell to your artificial tree with some Scentsicles scented ornaments. Scentsicles hang from hooks like little ornaments, so their smell lingers around your artificial Christmas tree. You can also hang them from wreaths or other Christmas decor spread the smell of Christmas all over your home. Scentsicles only last for about a month. If you’re the kind of person that leaves the Christmas tree out until April, then you’ll need to stock up on Scentsicles. Luckily, they’re stupid cheap. You can grab three packs of six Scentsicles (that’s 18 Scentsicles) for just $21.95. Ah, the classic Christmas candle. Have you ever sniffed through a whole aisle of Christmas candles for a quarter of an hour? Well, hopefully, you bought one, because they work best at home. 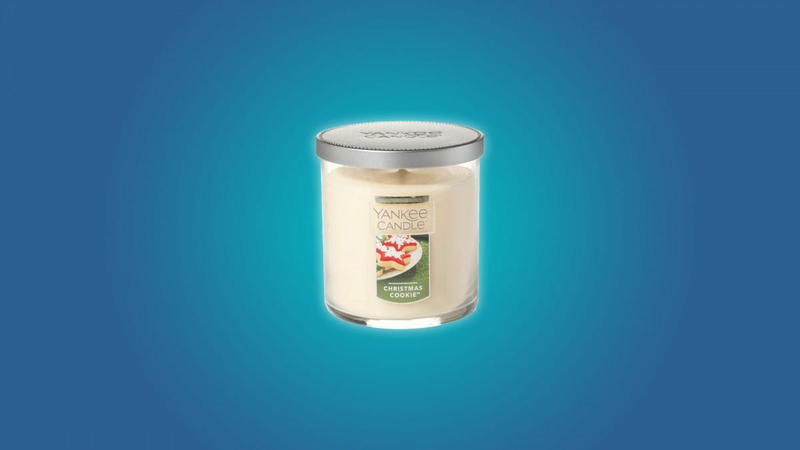 If you’re thinking that a Christmas candle may make your home feel more like the holidays, then I suggest grabbing a Christmas cookie candle by Yankee Candle. These things make your home smell like sweet holiday cookies, and you don’t even have to turn on the oven. Candles never seem to work as well as they should, and they also seem kind of expensive. 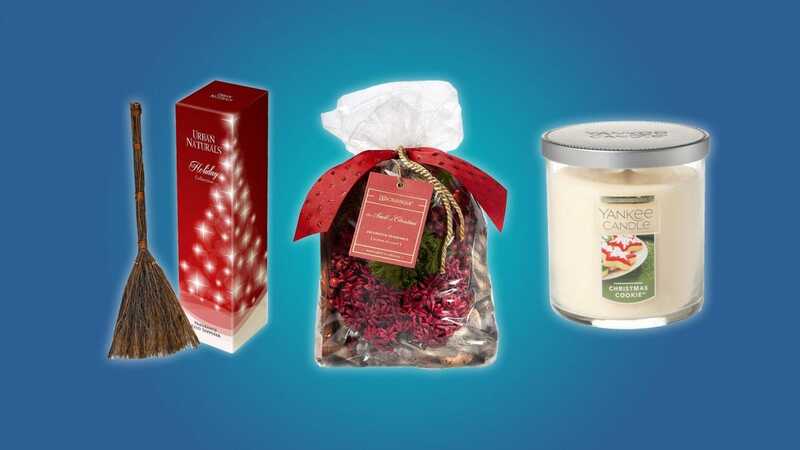 But Yankee candle is a good brand, and their Christmas candles have become a tradition in some peoples homes, so you can trust that their product will make your home feel more like Christmas. . Yankee Candle also has fir and “Christmas Eve” scented candles that are worth checking out.